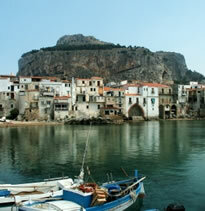 Ferry Services around Siracusa, Catania, Taormina, Calabria and the smaller islands. Catania International Airport - information. Mount Etna – Europe’s biggest active volcano just up the coast. www.romehotelsdirect.com – Rome Hotel Portal Site that guarantees the best available rates. www.navonasuitesrome.com – Navona Suites – luxury suites and rooms in a 15th century palace in the middle of renaissance Rome. www.residenzabellirome.com – Value for money hostel in the trendy Trastevere region of Rome. www.domusbettirome.com – Charming Bed & Breakfast offering great rates just a stones’ throw from the Vatican. www.therelaxinghotels.com –Hotel chain containing three 5 star hotels in the centre of Rome. www.venicehotelsdirect.com - Venice Hotel Portal Site that guarantees the best available rates. www.residenzalagunavenice.com – Residenza Laguna – utterly charming and cosy hotel B&B in Venice offering great value for money. www.hotelbonvecchiativenice.com – 5 star luxury hotel in the heart of Venice offering a huge range of modern services. www.florencehotelsdirect.com – Choose from a vast range of fantastic accommodation and by booking directly with us you will receive instant confirmation. www.hotelsangiogioflorence.com - Hotel San Giorgio – 3 Star located in the city centre around the corner from the train station. www.florence-hotel-merdiana.com - Hotel Meridiana – 3 Star located near the Accademia di Belle Arti. www.hoteldelanziflorence.com - Hotel De Lanzi – 3 Star located around the corner from the Duomo. www.hotelparisflorence.com - Hotel Paris Florence – 3 Star historic hotel built in the 16th Century. www.milanhotelsdirect.com - Milan Hotel Portal Site that guarantees the best available rates. www.motelcharlie.it/english/ - 5 star luxury motel 10km outside of Milan, comfortable and professional. www.hotelregalmilan.com – Seriously hip and super trendy Milan hotel near Linate Airport, 10km from the centre. www.hoteldellearti.com – Concept hotel in Cremona, 85 km from Milan in the region of Lombardy.